Full colour and photographic designs achievable at no additional cost. Perfect for short runs, one off designs and promotions. Artwork can be automatically downloaded onto the Ultimate Digital HP indigo Wide Web press. Different unique designs can be printed on the same production run. 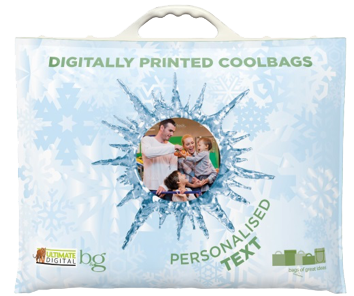 Artworks can be set up using smartflow making it simple to personalise and customise bags. Using Mosaic software thousands of unique designs can be created from artwork templates. Hidden glyphs and watermarks can be printed for promotions and to link in with other media.